Road Trips are great. I love ’em. How about you? And while I’m wandering the highways and byways of the world I’m always on the lookout for food – good food – local food. For some reason it just makes little sense to me to travel far from home and then eat at a place that is an exact copy of one you could visit at home. Call me crazy – well, some have, but that’s another story – but I like to find new and different places. And that’s how I ended up at the Murdo Drive-In. The Murdo Drive-In is the type of place that brings up memories of days gone by. It’s a small place. It’s a bit of a “joint” – using that label in it’s nicest sense. It’s certainly not pretentious. It’s a local spot and serves a basic and simple menu. It’s truly a drive-in. Murdo is a small community ( population of around 461 according to the most recent census data ) in South Dakota. It is located on Interstate 90 roughly midway between Rapid City 137 miles to the west and Sioux Falls 210 miles to the east. Take the Highway 83 exit off Interstate 90 and there you are – in the heart of Murdo. Murdo is well located for a rest stop for Interstate 90 travelers. 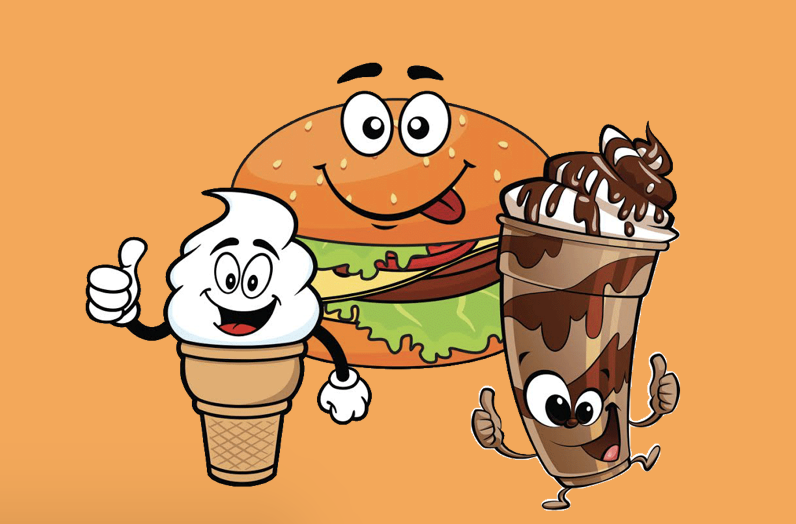 And the Murdo Drive-In is a great place to catch a quick snack or light meal before continuing on your way. They offer Great Road Food. This is not a cookie cutter fast food joint. And, to be clear, this is not a white table cloth, fancy food restaurant. No way. This is a drive-in. No waiters or waitresses here. Step up to the counter, select your items from the colorful menu boards and place your order. They’ll let you know when your food is ready. The menu at the Murdo Drive-In is not extensive but it does have variety. Items include tacos, chicken, salads and a variety of sandwiches. 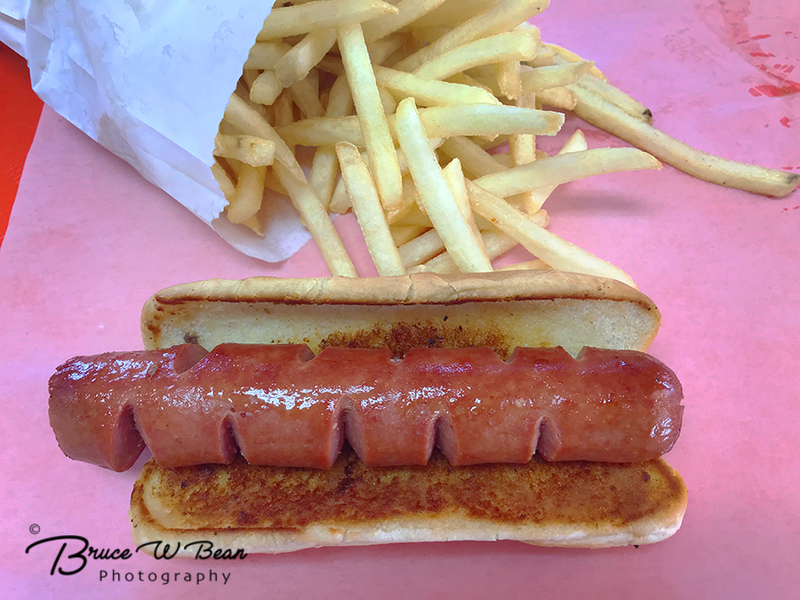 As regular readers know, when I travel I like to check out local hot dogs – or as true hot dog fans say – Dawgs. The Murdo Drive-In does offer a Dawg. 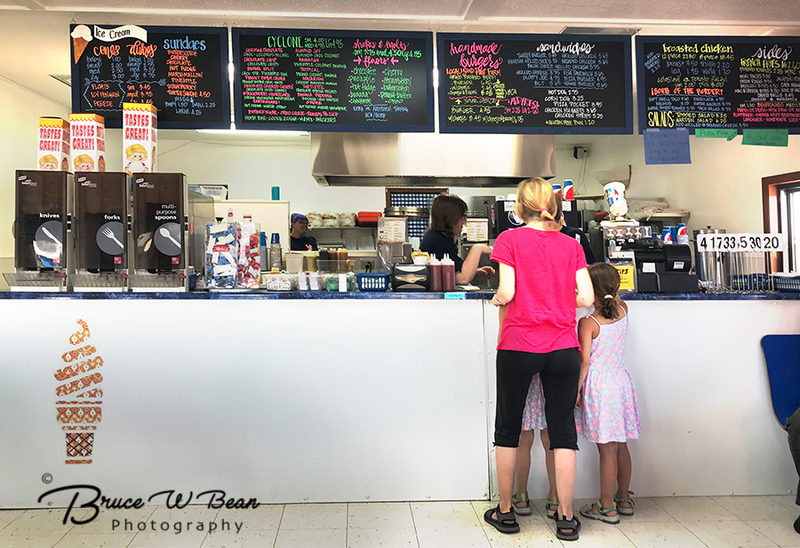 Okay – so clearly they don’t specialize in Dawgs – theirs is actually listed on their “Other – Kid Friendly” portion of the menu. It’s a basic hot dog done in the classic style. The one I had – pictured above in it’s naked state – prior to being dressed up a bit – was nicely grilled and quite tasty. Knowing that there is nothing better than local knowledge. I talked with various locals and customers before placing my order. I got the very clear impression that the Murdo Drive-In is best known for its burgers. Local knowledge in hand, I added a hamburger to my lunchtime order. 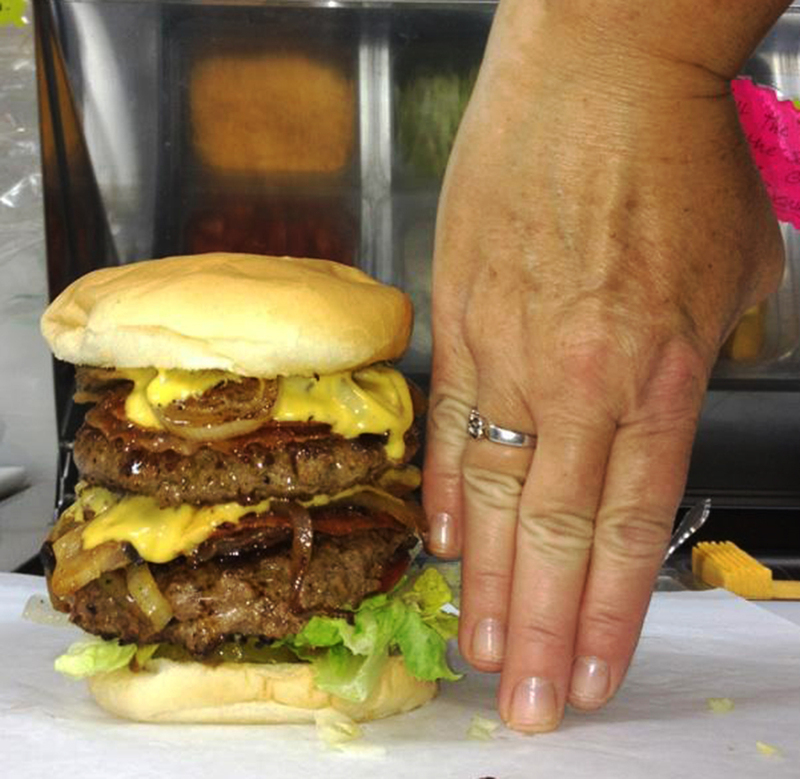 I hasten to add, I went with the single patty burger – not the gargantuan double patty monster pictured above! My single patty version of the Murdo Drive-In Burger was still substantial was truly outstanding. They use “local, grass fed beef” and their pattys and burgers are all hand made and prepared. You will note, the burger image above is one found on the internet. The reason? I couldn’t wait. My burger looked so delicious that I launched into it without thinking. It was half devoured before I realized I hadn’t gotten a photo! Check their website – Murdo Drive-In – before visiting. The Murdo Drive-In operates on a seasonal basis. As mentioned previously, Murdo is not a large place. And while I’m sure that the local residents do love drive-in food including the Great Dawgs and Outstanding Burgers served up at the Murdo Drive-In, it appears that business demand from the small local population alone is just not sufficient to sustain the restaurant. No, in order to make a go of it the drive-in really depends on business from hungry travelers and tourists exploring the South Dakota area while motoring along Interstate 90. This works out just dandy during the warm months of summer. But winters can be, shall we say, a bit harsh in the Murdo, South Dakota area. And as a result, tourists during winter tend to be rather rare. Wisely bending to winter’s influence and the economic dictates of the law of supply and demand, the Murdo Drive-In operates only during the warmer months – generally from Mid-May through August 31st. Hours are 11 AM to 10:30 PM. The Murdo Drive-In is currently for sale. It seems that the current owner, operating the drive-in since 2007, wants to retire. 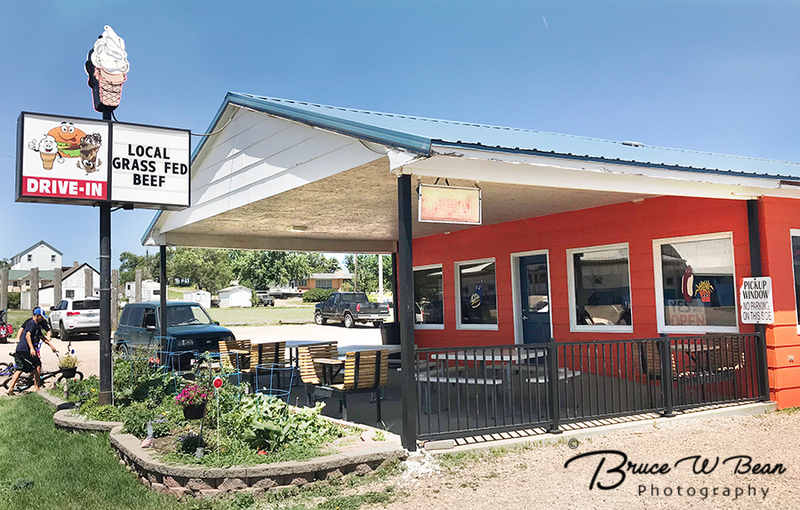 That being the case, the Murdo Drive-In is currently “on the market.” (If you are looking for a business opportunity in the Central South Dakota area you might want to check this out.) I can only hope that the new owners – who ever they might be – don’t mess it up. Let’s hope The Murdo Drive-In is open when you are in the neighborhood. If it is, be sure to stop in for a visit and a bite to eat. You’ll be glad you did. If you like Dawgs they have a good one. But you absolutely should not miss their burgers. They are GREAT! Check Out The Murdo Drive-In …………And Enjoy The Adventure!